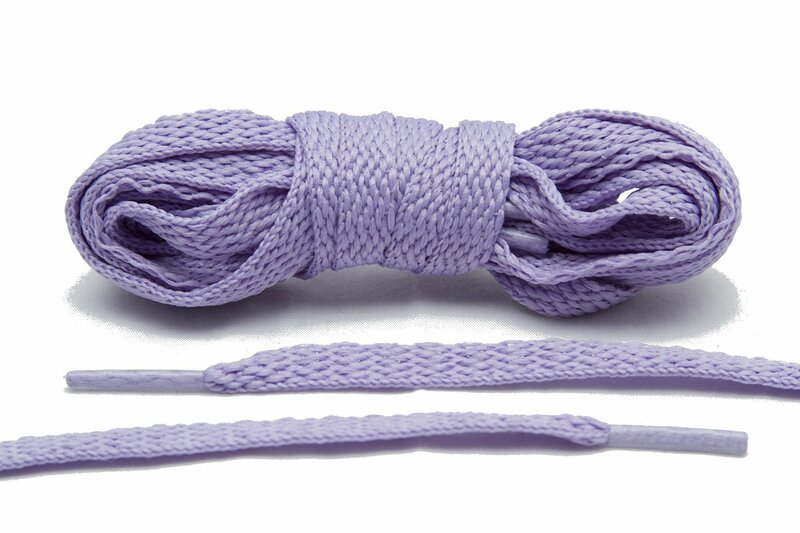 Add a little color to your sneaker collection with a of our Lilac Shoe Laces. Our colorful shoe laces are great throwback to retro colorways used on OG Jordans. If you’re restoring a of classic XIs, Lace Lab has you covered. When you need a fresh pair of classic Flat Laces, we’ve got you covered. Lace Lab specializes in premium, high quality flat shoe laces to keep all your sneakers, from Jordans to Vans and everything in between, looking fresh. Our Flat Laces are about 8mm wide. A of clean, crisp shoe laces are a must when you need a re-up for any of sneakers in your collection. From Vans to Jordan’s to Chuck Taylors, Lace Lab makes the classic White Shoe Laces to make your sneaker next level.